A new Global Water Futures study suggests that, due to increasing average global temperatures, some parts of the Arctic will be far warmer and wetter than expected by 2099, news that could spell trouble for northern infrastructure. While the predicted increase in temperature and precipitation could lead to increased flooding, the real risk comes from below: a potential 9.8-inch-deep thaw in the frozen ground. "These are greater impacts than anything I'm aware of,” says lead author John Pomeroy, director of Global Water Futures. Pomeroy’s study looked specifically at the area around Havipak Creek, a river in Canada’s Northwest Territories. The creek is especially significant because it crosses the Dempster Highway, the arterial road connecting the Northwest Territories to southern Canada. Pomeroy and his team created a climate model and a hydrological model of the area, using modelling techniques sophisticated enough to look within an area of four square kilometers (1.5 square miles). They used data gathered between 1960 and the present day to test the model. If greenhouse gas emissions remain the same, the study projects that the region will warm by a little over six degrees Celsius by 2099 (on top of the three degrees it has already warmed). Precipitation will increase by almost 40 percent, and snow will increase by 70 percent. The rising snow increases the risk of spring flooding, which the study predicts will be earlier and twice as high. This in turn makes it more likely that roads will become flooded with melted groundwater that freezes over, making the roads impassable. "They're already seeing some of these problems," Pomeroy says. "Washouts are a common occurrence." But for those worried about northern infrastructure, the biggest worry is a projected thaw in the permafrost. Permafrost is any ground that has been frozen for two or more years. It can form in rock, silt, gravel or soil, and can often form pockets of water (“ice rich” permafrost). Currently, about 35 million people live in a permafrost zone, where the majority of the ground has permafrost under it. In these zones, the permafrost exists under a small “active layer,” a layer of soil that melts and re-freezes every year. When building on permafrost, the goal is to avoid deepening the active layer by putting too much heat or direct pressure on the ground, and to create buildings that can accommodate small shifts in the ground without becoming unstable. The first priority when building on permafrost is to make sure that your building isn’t sitting right on the ground. A ground-level building makes it more likely that heat from the building will travel down into the ground and thaw the top layer of permafrost. 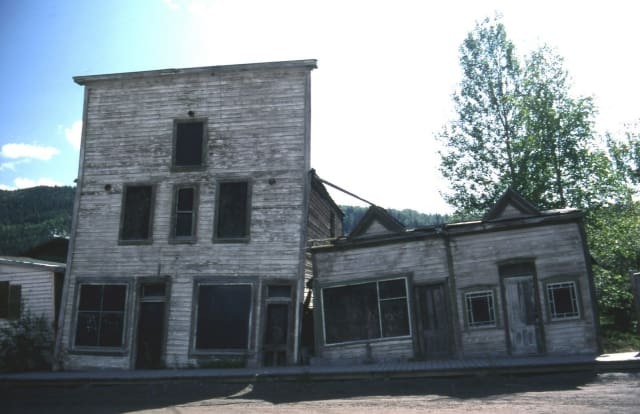 Because of that, many buildings in the permafrost zone look as though they’re standing on stilts, with a foot or more of distance between floor and ground. A gap high enough to let wind in means a better chance that the ground will stay cool. Life in the permafrost zone also requires different foundations. Surface foundations are vulnerable to frost-heave (when the upper layer of ground expands due to freezing in the winter) and thaw settlement (when the upper layer of ground sinks due to thawing in spring), so northern builders have developed ways to keep these elevated houses stay rooted. Piles are steel building support drilled deep into the permafrost. It’s important to calculate the length of the piles right; if they’re not drilled deeply enough, they can shift up and down. A pad and wedge solution, where the house sits on stacks of pressure-treated lumber on top of a gravel pad, can be used if piles fail. Screw jacks are an adjustable solution where jacks are placed on a wooden platform, and can be shifted up or down to accommodate for any shifts in the soil. Finally, when there’s a serious potential of unstable permafrost, builders can use space frames: a sturdy aluminum web that spreads the weight around. For a conscientious builder, the work doesn’t end with the foundations. Anyone building on permafrost should be careful not to disturb the “active layer” of soil or the organic matter under the house, because it acts as an insulating layer. They will also want to plant organic ground cover like trees or moss to shade the area, and perhaps build a large porch or overhang to provide extra shade. Finally, it’s a bad idea to install plywood “skirting” around the bottom of the house for aesthetic reasons, as it will limit the flow of cooling air through the foundation and encourage water buildup. For the same reasons, homeowners will want to make sure that snow doesn’t pile up around the foundations of their houses. There’s an entirely different set of procedures for building larger structures, like roads or oil pipelines. Here, the main goal is keeping the infrastructure elevated to ensure that it doesn’t either thaw the ground or freeze over after winter flash-floods. A case in point is the railroad that the Chinese government built through the Tibetan Plateau in 2007. Engineers built high bridges over areas of permafrost to prevent the train’s operations from heating up the ground and used crushed rock to insulate the ground underneath. More conventionally, engineers might replace soil under roads with gravel, to make it easier for the water to drain away, or make roads lighter to avoid sun absorption. Finally, in areas that are too thawed and marshy to put roads on during the summer, it’s possible to create temporary winter ice roads. In northern Canada and Alaska, engineers have build seasonal roads over 100 cm (about 40 inches) thick on top of frozen marshes to deliver supplies to mines and drill sites. The North is a feat of infrastructure, a thermodynamic balancing act to keep buildings steady and the ground frozen. But what’s going to happen when the permafrost becomes less-than-permanent? The short answer is, we don’t really know. A study published in Nature Communications last year suggests that infrastructural failures are only going to get worse from here. The researchers combined in-situ observations of ground temperature and thaw depth with geospatial environmental data from across the Arctic to look at areas of high thaw risk. They found that almost four million people and 70% of architecture in the permafrost risk near-surface thaw. But we don’t know exactly what will happen when the permafrost melts. One case study is Ilya Benesch, an Alaskan construction worker who works as a building educator at Alaska’s Cold Climate Housing Research Center. Benesch started building a cabin in 2008, only to find that his hill property had ice-rich permafrost under it. When permafrost has large ice deposits, it’s very difficult to know what will happen when it melts, even for experts like Benesch. What we do know is that 20th century infrastructure isn’t adequate for a 21st century climate, and buildings are already starting to show the strain. The Russian city of Norilsk, the largest city in the permafrost zone, has seen 60 percent of its buildings damaged by permafrost thaw, and 10 percent of its houses abandoned. Greenland has seen increasing wildfires, a serious challenge in an area where heated water tanks risk thawing permafrost. So, what can we do to make arctic infrastructure safer as the permafrost melts? One way to weather the permafrost thaw is to build around it.In Nunavut, Canada, the territorial government is working with academics, locals and the Canadian Space Agency to develop “permafrost maps” that track shifts in the ground and show where the permafrost is most “ice rich” (and thus unpredictable when melting). "There is information about permafrost, its depth, its temperature, and geological formations,"
says Colleen Healey, the government’s climate change program manager. "This information can be used by community decision-makers, planners, and governments to make sure any future developments are sustainable and adaptive to the future climate of Nunavut." For the pre-existing developments, there are other solutions. 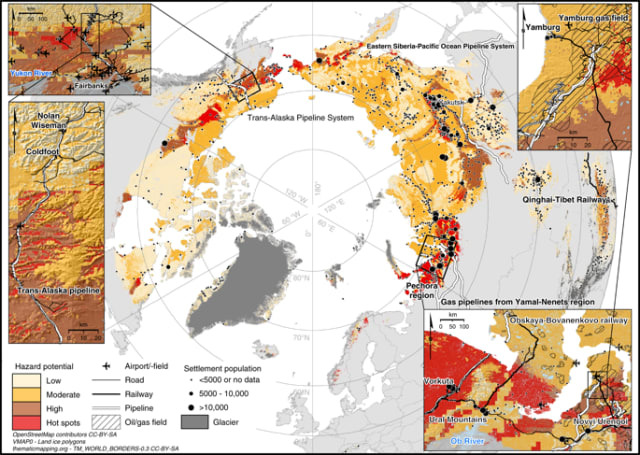 One temporary solution to thawing permafrost is thermosyphons: large cylinders drilled deep down into the permafrost to extract heat from the ground through a liquid-vapor heat transfer. They're used across the Arctic, from keeping arsenic frozen in Canadian mines to shoring up drooping buildings in Norilsk, Russia. 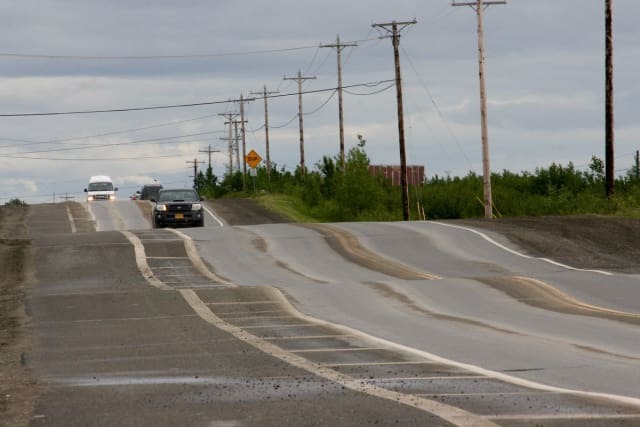 To avoid meltwater covering roads, culverts and bridges will need to be widened and deepened. To avoid thaw settlement,building foundations dependent upon the ground staying frozen will have to be reinforced or redesigned. No matter what, the cost of rebuilding the Arctic for warmer temperatures is going to be costly. Both the necessity of shipping materials up north and the difficulty of building on the permafrost mean that housing up north is already costly: in Iqaluit, for example, building expenses mean that even renting a bachelor apartment costs approximately $2,000 a month. And governments are already starting to pay the price. In 2017, Canada’s federal government committed to spend $570 million over the next ten years on infrastructure in the Northwest Territories. 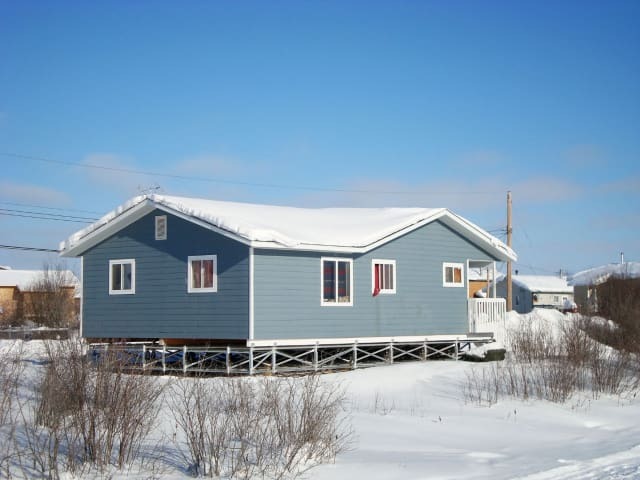 In Alaska, the city of Newtok has received federal funding to relocate the entire town as a result of permafrost thaw. And in Russia, a new report calculates that permafrost could damage existing infrastructure to the tune of $80 billion, with homes hit the hardest. What Next for the North? Pomeroy’s predictions aren’t a certainty, and he hopes that they won’t come to pass. "This study is the future we're heading for, but it's not the future we necessarily have if we can find a way to reduce those gases," he says. "It'd be far smarter to get those emissions under control than to pay the terrible expenses for infrastructure and endangered safety of humans and destroyed ecosystems." But even moderately curbing greenhouse gas emissions isn’t necessarily enough to stop the thaw; Hjort et al.’s 2018 study found that even hitting the emissions targets of the Paris Accord won’t significantly decrease permafrost melting. In areas with continuous permafrost, entire communities are balanced on a knife’s edge, waiting to see if the permafrost thaw will make their community inhabitable. “The story is not about one building falling, even though there are examples of that, but about thousands of people living in buildings which have the potential to fall,” says Streletskiy. For these communities, a warming Arctic means that their whole future is on shaky ground.